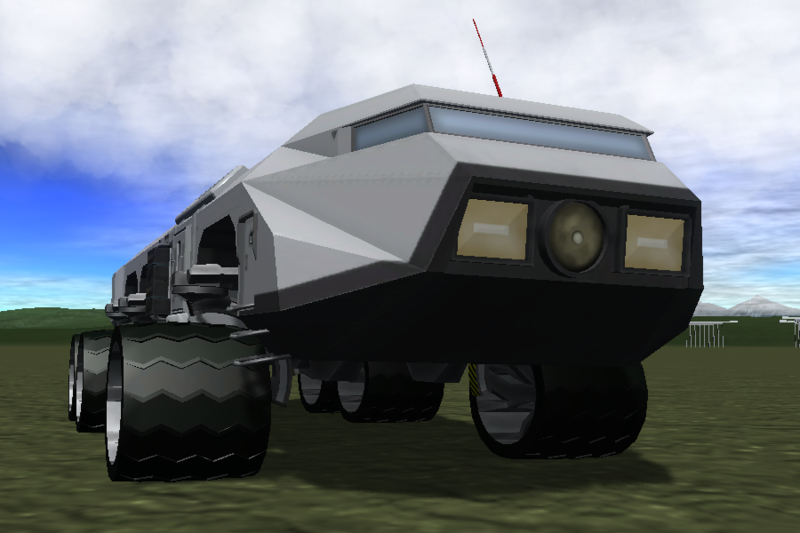 A mod rover called Beagle 2 Rover. Built with 41 of the finest parts, its root part is MkVHog. 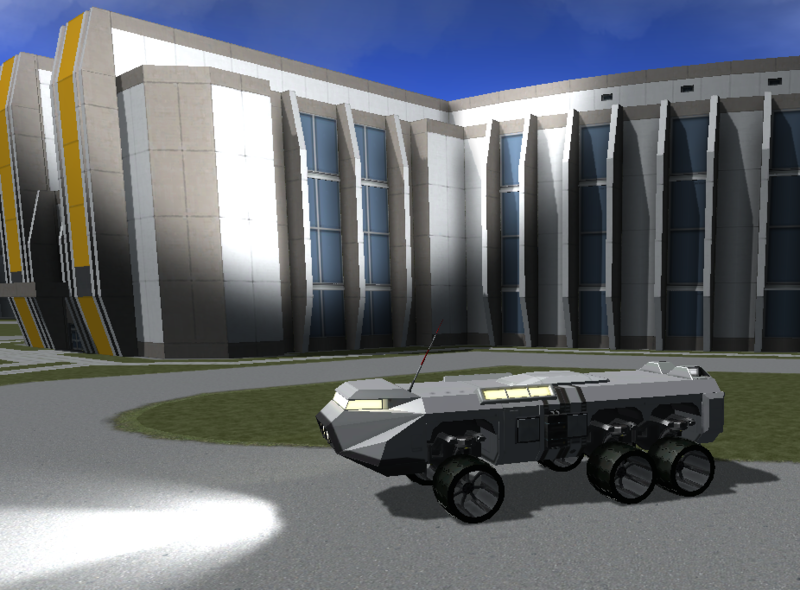 The Beagle Rover is a robust, versatile vehicle with good suspension and wheels capable of sustained climbs up steep inclines. There is room for a 3rd Kerbal in the hull section and a small amount of KIS Inventory behind the main cockpit area. Fair warning however, it may not be possible to move one in and out without Ship Manifest or Crew Manifest. If you don’t run either of those mods and don’t wish to bother, then replace that section with something more useful and remove the hatch and ladder. 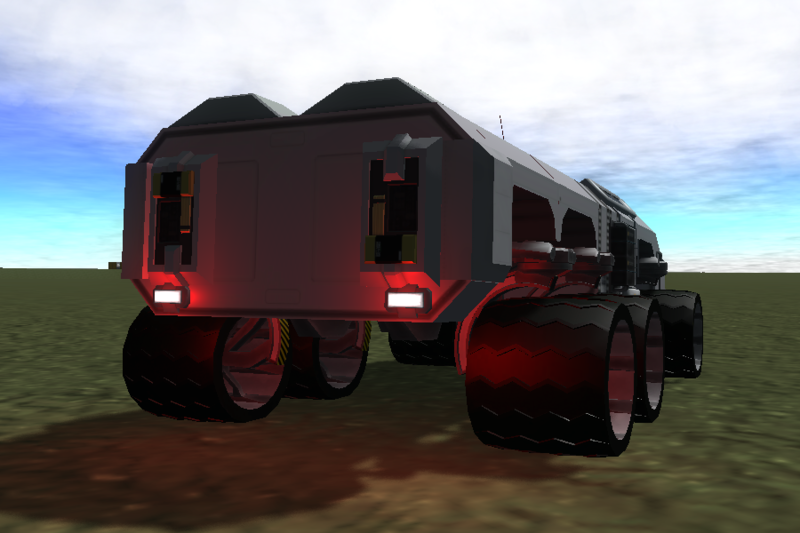 In addition to the headlights, there is an extra set of lights pointing to the sides of the rover in case you want to look at a darkened section of canyon on some distant planet without deviating from your main course. The large surface area available means the ability to mount a lot of different types of equipment, from Science instruments to KAS winches or even docking ports. (There’s already a docking port on top along the center of mass for docking/lifting/transporting it beneath a skycrane. 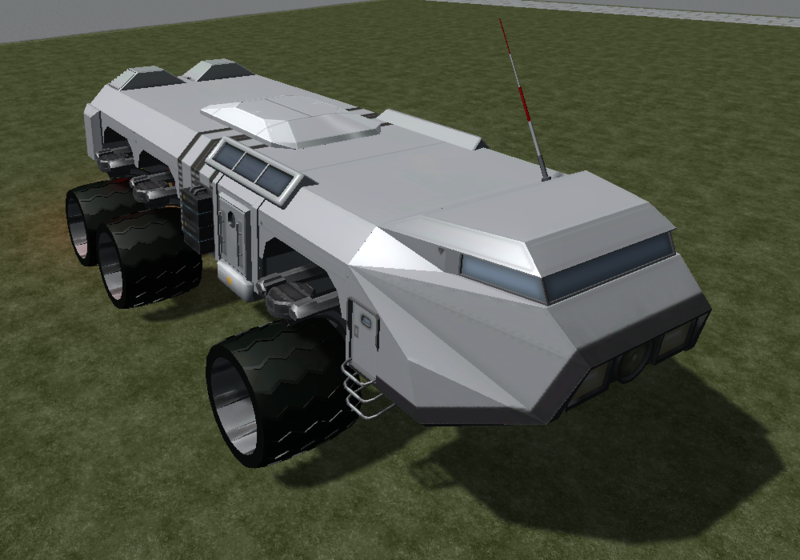 It’s a very low part count vehicle, but even some of the details I’ve included in this basic version are cosmetic and can be removed if you so wish (Such as the windows along the sides). One experimental item I’ve included that I am not sure works quite the way I want is a rocket powered SRMECH, or Self-Righting MECHanism . So far the results have been mixed on Kerbin. 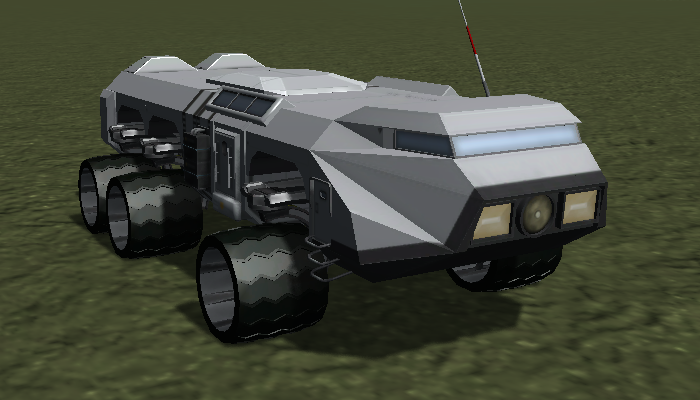 But I suspect that on a lower gravity world such as the Mun or Minmus, this will be more than capable of flipping the Beagle back over onto its wheels. If you find this method unsatisfactory, I suggest using a KAS Winch and anchor for this purpose.